Norway is consistently ranked as the best country in the world in terms of quality of life. In fact, Norway has been voted the best country to live in for 10 years in a row now. What’s so great about this humble Scandinavia country of just 5 million citizens? 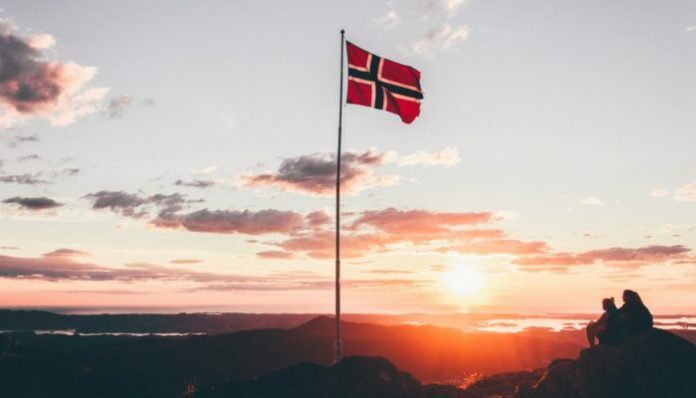 Well, Norway does a lot of things that the rest of the world deems “impossible” and “utopian.” However, instead of raising our noses at the near-perfection of Norway, we should be taking notes of everything they are doing right! Read on to learn the top 4 lessons other countries can learn from Norway. There’s always great debate around the topic of what benefits the government should and should not provide. Many people think that providing too many benefits to citizens will cause them to slack off, and therefore, society will suffer. Well, Norway is strong proof that this argument is not valid. In Norway, every parent gets a generous amount of maternity and paternity leave, getting basic health insurance is a right everyone has access to, the state pays for your wedding and funeral, and children receive social security. While applying these social benefits to other countries isn’t a process that can happen overnight, it’s important to know that there are successful countries that also have extremely good social benefits. There is a code of social behavior in Norway that is called JanteLoven or Jante Law. No, it’s nothing strict or imposing. Rather, Jante Law is an unwritten social code that holds social equality, collectivity, and modesty in high regard. Basically, this law suggests that not one single person is better than another and that everyone is equally important to society. Unlike America and other Western countries, Norwegians aren’t about “winning the rat race” or “climbing the corporate ladder”. Instead, they are more focused on finding ways to better society as a whole. In Norway, societal accomplishments are put before individual accomplishments. In Norway, equality is always super important. They even have the statistics to back it up. Gay couples have the same marriage and employment rights as heterosexual couples, and, the Norwegian workforce is made up of 75 percent women. In addition, a law was passed in Norway in 2003 stating that 40 percent of all companies’ board members have to be women. Plus, if you’re a mother in Norway, you’ve really hit the jackpot. Mothers get a full 10 months of pay while on maternity leave. And, fathers also get 10 weeks of paternity leave. These are just a few of the ways that Norwegians prioritize equality. The list could go on and on. In America and many other countries around the world, people are always rushing around and trying to get things done. Rarely do people take the time to do things “just because.” If they do, they often feel guilty about it and feel like their task needs to have some sort of purpose. Norwegians are much better about taking time to stop and smell the roses. In Norway, you will often see people walking, picnicking, and just experiencing life without any real rush. Stress levels can seriously bring down one’s quality of life. So many people would benefit from taking a note from Norway on relaxation. There are the 4 lessons other countries can learn from Norway. Which of these is your favorite?